Save money and stress by purchasing a 10 Image Essentials Package. Pre-purchasing photos allows us to ensure that we will get those beautiful moments captured for you. You get to do your thing in the ring, and leave the rest to us! You must have at least 3 head of livestock, or individuals entered in at least 3 events to be eligible for this package. If you are unsure please don’t hesitate to get in touch! Images are from Sydney Royal 2019, this package cannot be split across shows. The Exclusive Package is perfect for larger teams with a number of animals or team members competing in different areas. Pre-purchasing this package is a great option to save some time and ensure you get all the photos your team will need. To ensure that this package is a fit for you, we ask that you fill out the form under ‘Request Package’ and we can help tailor this specifically for you and your needs! You must have at least 8 head of livestock, or individuals entered in at least 3 events to be eligible for this package. If you are unsure please don’t hesitate to get in touch! If you are wanting photos of a stud or studs, list them here. This Package is intended for larger teams, or those entering in various competitions. Please tell us the size of your team so we can make sure we will be able to get 20 images that you love! If you have any information to help us out, here's where you put it! The breed and ages of animals, classes a parader might be involved in, a specific one you want photos of getting fitted, the more info the better! The perfect way to make sure your show memories are captured. Whether it’s photos of your family, your show team, animals or anything else you can think of! This mini-session goes for 30 minutes, and you receive all images taken in this time. These mini-sessions are extremely limited, so make sure you don’t miss out! This year we are excited to add the option to request images before the show. 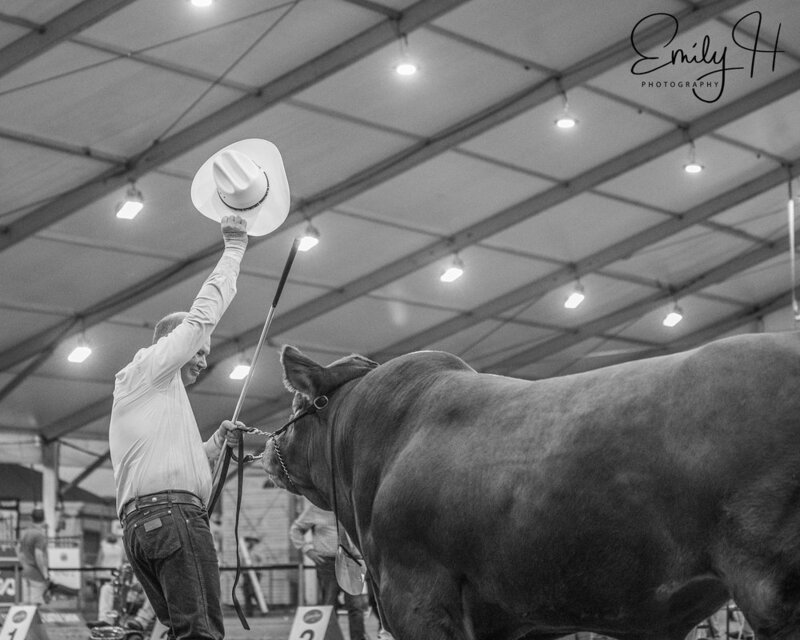 If you want us to make sure the we get a photo of your animal in their class, of your kids in the junior events, or an all-in shot of your team, list it here and let us know! The more details you leave the better we will be able to work with you. Please note that these are requests - while we will try and get all images you are after, we will need your help getting your team together, and ensuring the animals you want are in the right spot! If you are wanting photos of a person or people, list them here.